For the last few days, the Boxee Box has been the centrepiece of our living room’s entertainment centre.And with good reason. 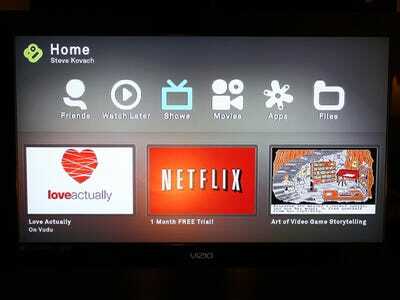 It’s the hub to all our content, able to play practically any file type on your television, unlike its rival Apple TV. Apple only allows you to play content from iTunes, meaning you have to buy everything from them or convert your video ahead of time. Boxee, on the other hand, is plug and play. We had no problem getting it to recognise our USB external hard drive and playing everything from .avi to .mp4 files. You can also play files over your wireless network. 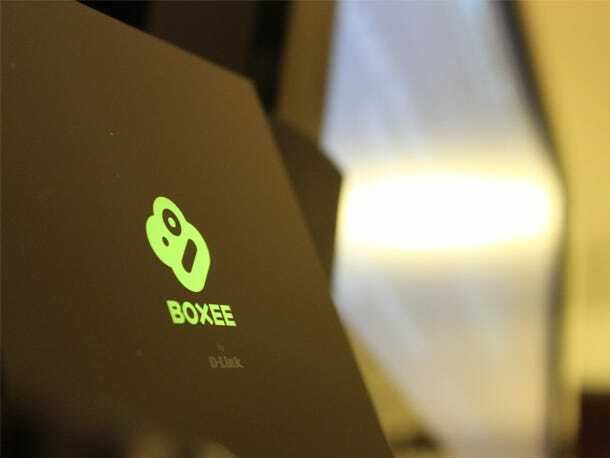 For that reason alone, we think Boxee is a much better device than the Apple TV if you have movies on your network saved in several different formats. On the down side, the menu system is a bit difficult to use. And the clunky remote doesn’t make it much easier. You have to hit the “menu” button several times to go back to the starting point. 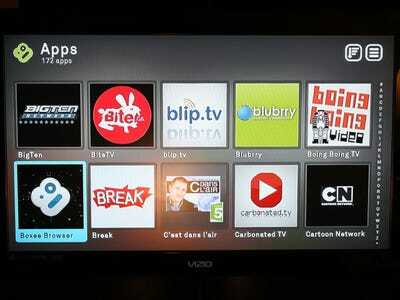 We suggest downloading the iPhone or Android app that will let you control Boxee from your phone instead. Now that Boxee has finally added Netflix, its library of apps is almost complete. We’re still waiting for Hulu Plus, but there are over 170 other apps to choose from including Pandora, AP News, and Flickr. Full disclosure: Boxee provided us with the box and is sponsoring our latest Pipeline sale. That being said, we still think this is an excellent device and worth the purchase for people who don’t want to be limited to one type of video format. 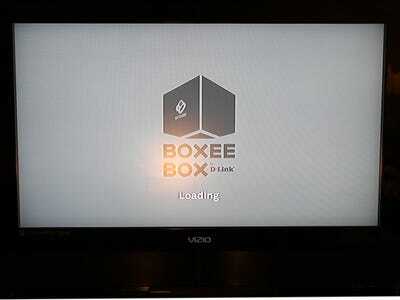 The Boxee Box has this cool glowing logo when you switch it on. It dims when you start playing a video so you don't get distracted. The remote is probably our least favourite part of the system. It's tiny and difficult to type on. Download the iPhone or Android app and use that as a remote instead. 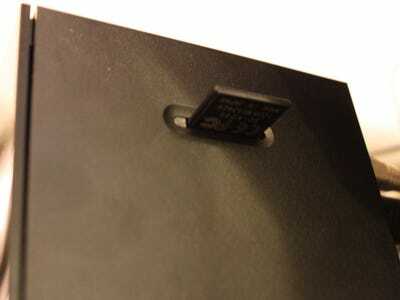 There's a SD card slot on the side. Use this for quickly loading photos or movies. Here's the start up screen when you first switch the box on. It takes a bit too long to load. This is the home screen. The bottom portion has shortcuts to popular apps, shows, and movies. Let's go to the Shows tab at the top first. This is the list of popular TV shows available for streaming. Some are available for free on network TV sites. Others are available for rent on Vudu. 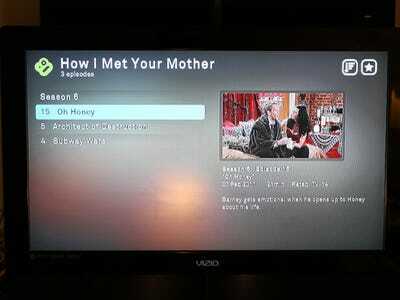 Right now there are three episodes of How I Met Your Mother available for free streaming. Let's watch the most recent one. 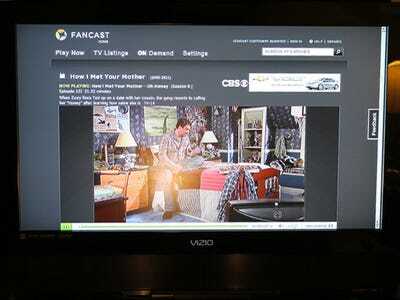 Boxee launches a browser where you can view the streaming show. It's a little annoying to watch shows this way. 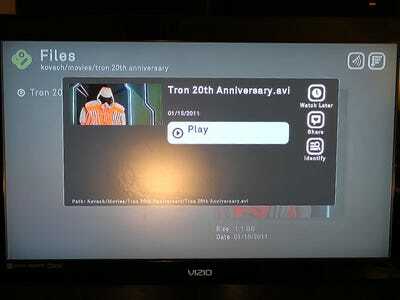 It feels like watching TV on a giant computer monitor. Here's the apps list. There are an amazing 172 apps available right now. Some of our favourites include Pandora, AP News, and Netflix. New apps download and install in seconds. Let's check out the brand new Netflix app. We like the Netflix app's design. Just enter your account information and your instant queue will be up in no time. 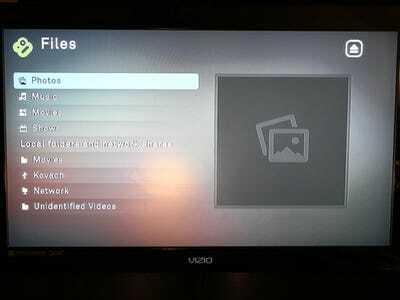 Selecting the Files tab from the main menu allows you to search your home network for videos, music, and photos to play on your Boxee. We plugged our external USB hard drive directly into the box. 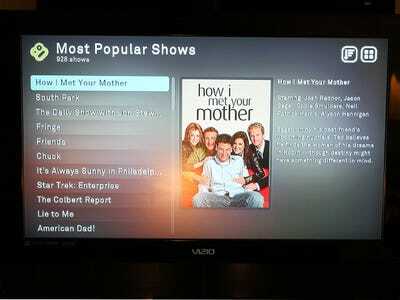 Boxee automatically detected our movies stored there. Boxee will play almost any file type, something the Apple TV can't do without converting your video first. 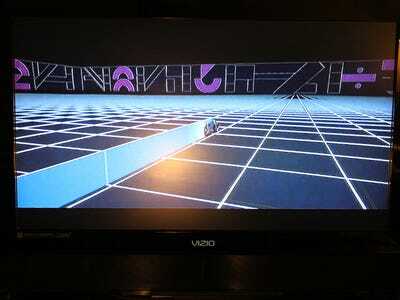 We have the original Tron movie stored on our hard drive. Let's see what it looks like. Looks good! Check out that light cycle! 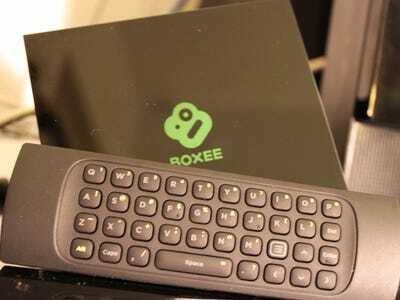 You can pause, rewind, and fast forward the movie using the Boxee remote. This is an excellent feature for those who like to download torrents or rip movies from DVDs. 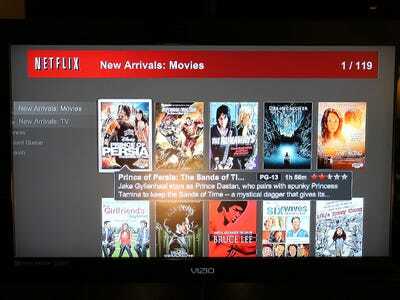 The Movies tab is similar to the TV tab. 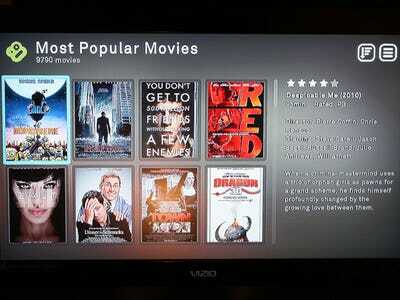 However, most are available for rent only from Vudu for $3.99. 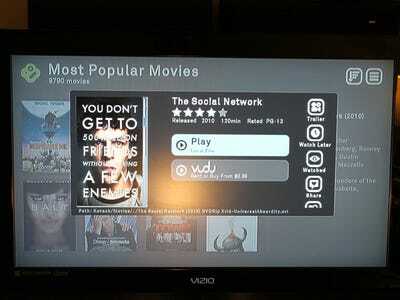 This feature took us by surprise: Boxee automatically recognised we had The Social Network stored on our hard drive and gave us the option to play the file or stream from Vudu. Very cool. 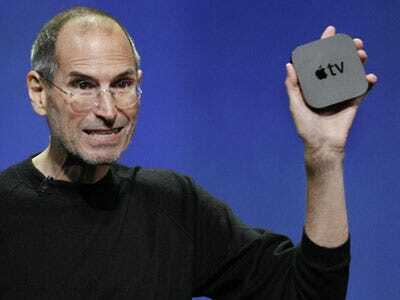 Still loyal to your Apple TV?